Poor Wren. All he wants is a bit of peace and quiet, but in a big, noisy family living in the city it’s practically impossible. Then his baby sister arrives and she never stops crying. 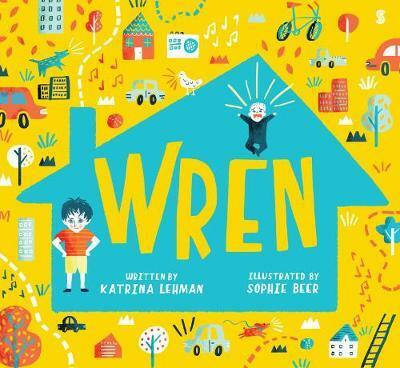 Wren retreats to his grandparents’ house in the country but after a while it seems too quiet. Could he be missing the baby and all her noise? The illustrations by Sophie Beer for this warm-hearted family story are vivacious and vibrant, filled with life and love. They perfectly depict the chaos of a big family with so much colour and movement. This is a big-hearted story about families and siblings that is perfect to read to children aged 3+.